The air is crisp, your surroundings are as green as can be and you’re at one with nature. The thought that the countryside could be a threat to your skin is hard to believe, but don’t let its majestic beauty deceive you. Large open areas often mean no shelter from the sun and harsh winds, and this can play havoc with your skin. Regular contact with harsh winds can break capillaries in your cheeks and could also lead to permanent redness ‘rosacea’ for those with sensitive skin – not the surprise guest you’ll be hoping to see at Glastonbury, I’m sure! Dehydration and heat exposure can cause irritation to your lips, and we have all suffered the consequences of not taking care of our lips at some point – not pretty and definitely not comfortable! 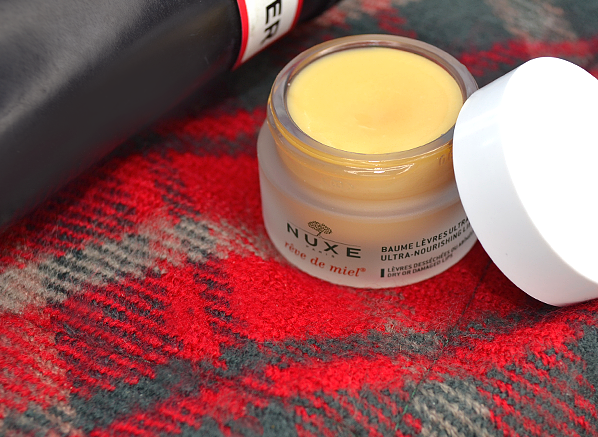 The Nuxe Reve de Miel Honey Lip Balm will be the soothing comfort your chapped lips need after spending too much time in the wind, as the rich and restorative balm will cocoon your lips in intensive nourishment. 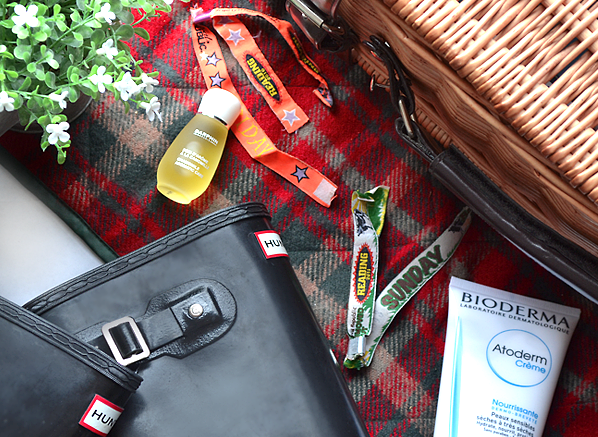 Its small, compact size makes it an ideal pick when space is of the essence, and the fact that it can be used on sores and light burns makes it a no-brainer when it comes to packing your festival essentials. When you’re camping or exposed to a harsh environment for a prolonged period of time it’s not only your face and hands that suffer the consequences – it also takes a toll on your body. Keeping all your skin moisturised is vital, as sun exposure can dry out the skin and leave it looking dull and lacking moisture. Dry skin can also make wrinkles look more pronounced, resulting in you looking older, faster. A quick way to combat this is by ensuring you’re moisturising your skin and upping this to two times a day. 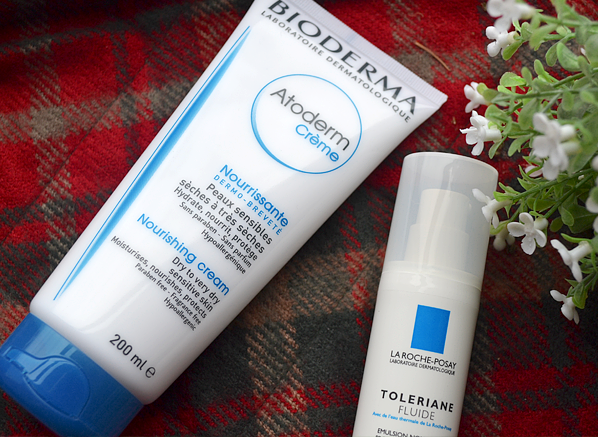 The Bioderma Atoderm Cream has a rich formula that will moisten your skin with anti-drying agents, helping it to curb the penetration of irritant elements. Always one to search for a dual-purpose product, this moisturiser can be used on the face and body, ensuring no skin is left untouched. When you’re on top of someone’s shoulders, singing along to your favourite artist, the last thing on your mind will be the effect the harsh wind is having on your skin, right? Well, if you pop on La Roche-Posay’s Toleriane Ultra Fluid Moisturiser you can let that be so. The Toleriane range is designed for the most sensitive of skin; by using very few ingredients and innovative packaging it carries the Allergy UK Seal of Approval. And so, the Toleriane Ultra Fluid moisturiser is ideal to hydrate the skin from being dried out by the wind, and will allow you to sing along to your hearts’ content, with your only concern at the end of the night locating your tent. You get a lot of product packed into a lovely pot. Quite thick to apply but beautifully moisturising. Put on at bedtime and wake up with new lips ! 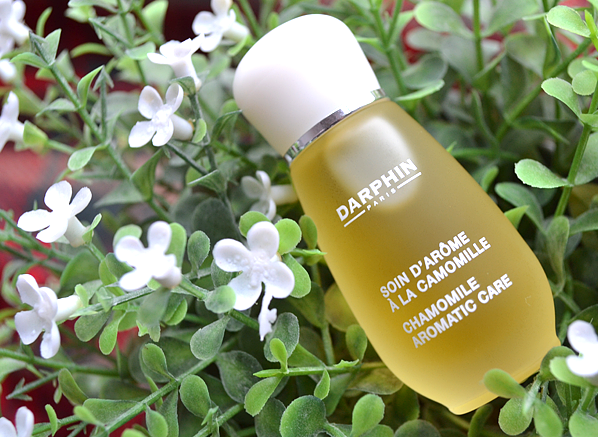 This entry was posted on Tuesday, June 9th, 2015 at 11:33 am and is filed under French Pharmacy, Skincare. You can follow any responses to this entry through the RSS 2.0 feed. You can skip to the end and leave a response. Pinging is currently not allowed.